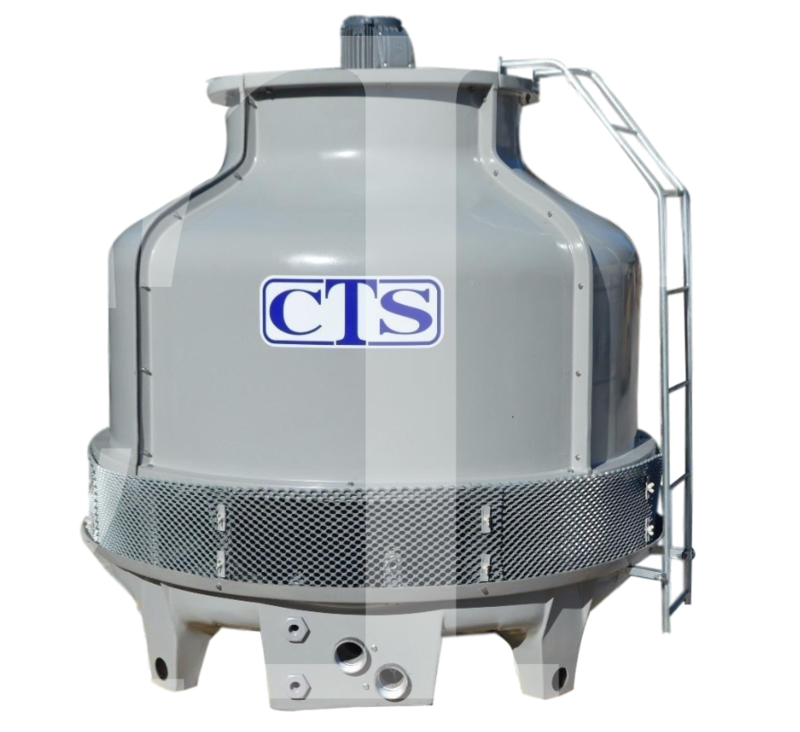 Fiberglass Cooling Towers – Cooling Tower Systems, Inc.
Also known as glass reinforced plastic, fiberglass is a strong and durable material, making it an ideal choice for industrial cooling tower construction. Cooling towers are used to provide cooling or heat removal to water, other fluids and air within processing plants and some larger buildings. Using natural or mechanically forced drafts, cooling towers draw warm moist air into the atmosphere and leave cooler air and/or water behind. Industries such as power stations, oil refineries, power generation facilities and water treatment plants all use cooling towers to aid in process heat removal. HVAC cooling towers are used in large buildings to help control the temperature of interior air. Fiberglass is a suitable material in a process such as moist air removal as it is corrosion resistant. This resistance to corrosion also proves advantageous in cooling towers which are used in applications involving any sort of chemical substance. Fiberglass is a material which is relatively easy to clean or wash down. The direction of the fibers can be specifically designed to create structural strength in a particular direction or location. 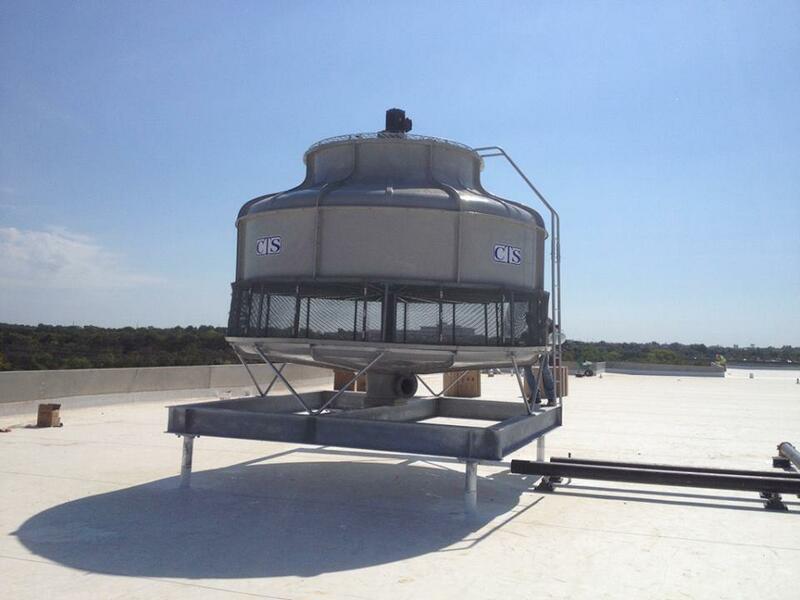 In addition to being a strong material, fiberglass is also a lightweight option for cooling tower construction. Other materials used include stainless steel, aluminum and ceramics, but fiberglass offers a lighter alternative than these and for many cooling tower systems, tower weight and structure capacity is an important factor. For example, an HVAC tower may be located on the roof of a large building in which case the tower weight is a design factor that needs to be considered. Also, the reduced weight of a fiberglass tower minimizes handling and installation issues which may prove costly. Other advantages to using this material choice in cooling tower design include the versatility of fiberglass as a manufacturing material. It can be molded and constructed to any custom requirements, and can be constructed with a variety of surface textures and colors. Towers made from fiberglass are able to withstand severe environmental conditions such as high winds, extreme temperatures and storms, further evidencing the advantages to using this material in cooling tower construction. Fiberglass is also used in industries such as automotive and boating, storage tank manufacturing, piping and more. Fiberglass Cooling Towers Fiberglass cooling towers offer many advantages over cooling tower systems constructed from other materials, and are a common choice for many industries. Fiberglass is a material made up of extremely fine glass fibers and a resin or polymer. It is manufactured as layers of thin fibers placed in such a way as to resist buckling and create stiffness.